They will make your taste buds go nuts! 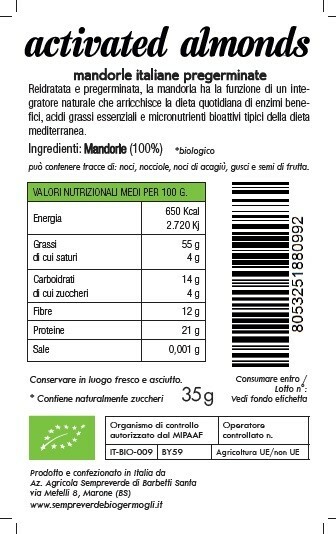 Ingredients: 100% organic Italian almonds. 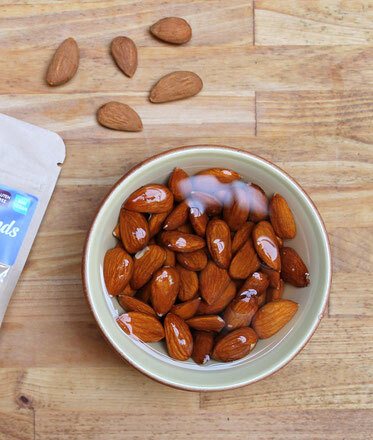 Both pregerminated and dried at low temperatures, almonds act as a natural supplement. 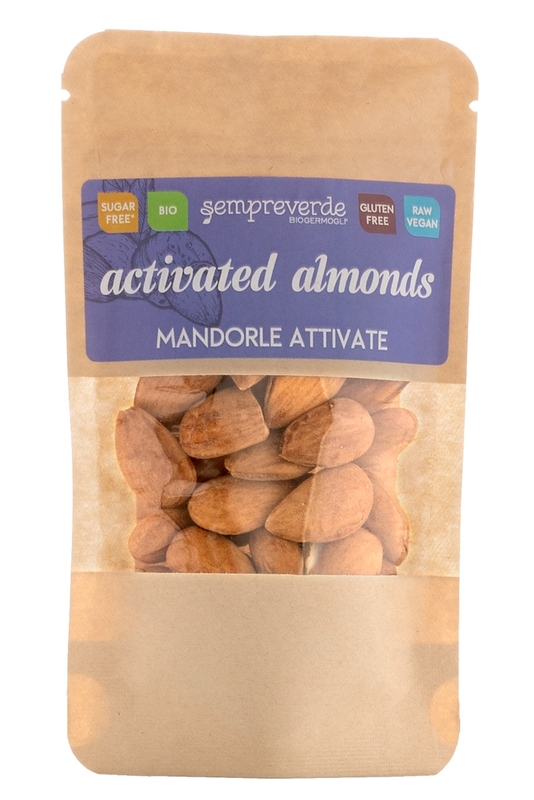 Almonds enrich the daily intake of beneficial enzymes, essential fatty acids and bioactive micronutrients that are part of a typical Mediterranean diet. Italian almonds pregerminated at low temperatures, thanks to natural elements such aswater, oxygen and natural light. 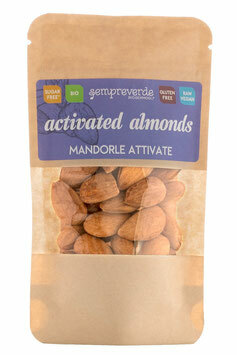 During the pregermination process, the almonds expel harmful vegetal substances one of which is phyto-acid. This inhibits the reabsorption of calcium and magnesium into our body and can cause intolerances (allergies to dried fruit). The activation process allows the separation of undesirable substances like phyto acid from the raw fruit, so as to make it more digestible and beneficial. Resolution of all digestive annoyants and inflammations. Therefore, we choose activated dried fruit in our everyday meals. Possibly from organic farms. Choose from our selection of goodies!